PARIS, France - A fire broke out at the Notre Dame cathedral in Paris, one of the city's most iconic sights. 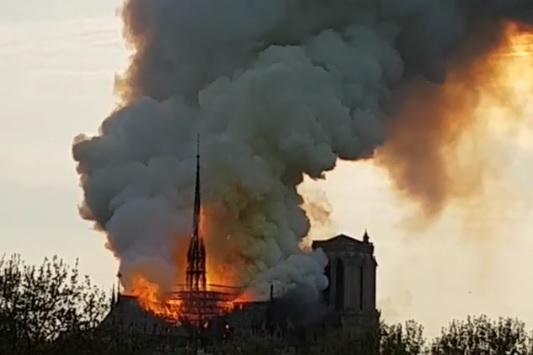 Images on social media showed smoke and flames shooting from the top of Notre Dame as massive plumes of smoke billow into the sky above. The cause of the blaze isn't yet known, but scaffolding could be seen on the roof of the burning structure. The spire was undergoing renovation. The fire may be connected to the recent restoration of the church, officials said.